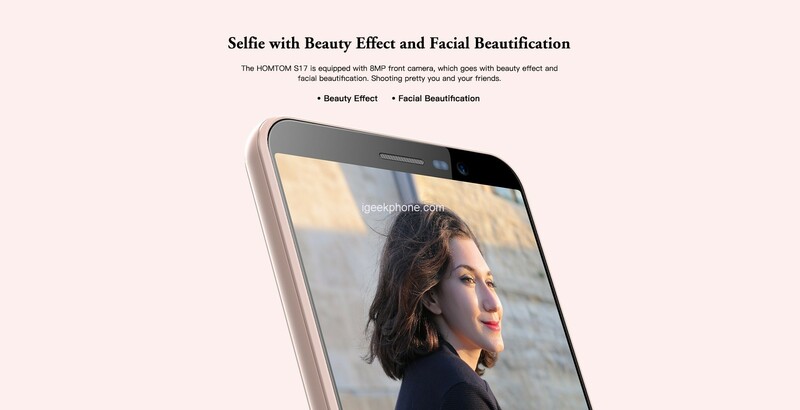 Chinese company HomTom continues to develop a range of products in the lower price segment, providing its fans with all-new smartphones with a decent combination of price and quality. 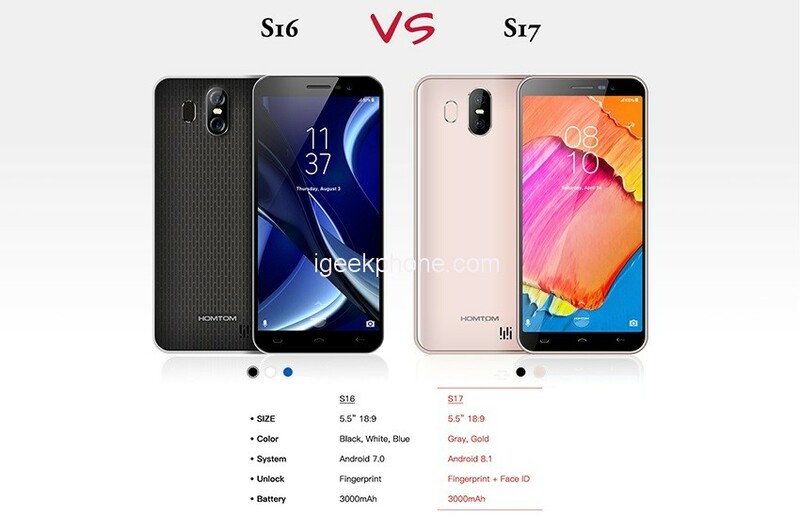 Recently, the company has announced that it will launch a brand new, fashionable, light and low-cost smartphone soon, which is known as the pro version of S16 (aka HomTom S17). And today this entry-level Smartphone has presented. The smartphone would mount a 5.5-inch IPS-display with a resolution of 1280 x 640 pixels pleases with good brightness and contrast. In direct sunlight, the visibility of the displayed image is reduced due to the presence of an air gap between the glass and the sensor, however, within the framework of the value category, such behavior of the IPS panel is considered normal. This new entry-level Smartphone is powered by a MediaTek MT6580 Quad 1.3 GHz processor, with Mali GP 400 MP, 2GB of RAM and 16GB of internal memory (expandable via microSD). For the camera section, we find an 8MP front camera and a dual 13MP + 2MP rear camera. Android 8.1 Oreo operating system with removable 3000mAh battery. Do not miss the Face Unlock and the fingerprint reader, all enclosed in a body of the dimensions of 151 x 71 x 8.9 mm for 160g of weight. The smartphone will be available soon at a cost of 60 euros ($69.50) in the colors Gray and Gold which shows more sense of modern and fashion. Click here if you want to know more about this Smartphone.